Large Red Poppy Flower Hair clip with a black bat motif in the center. Perfect for Burlesque events, Parties and Weddings. 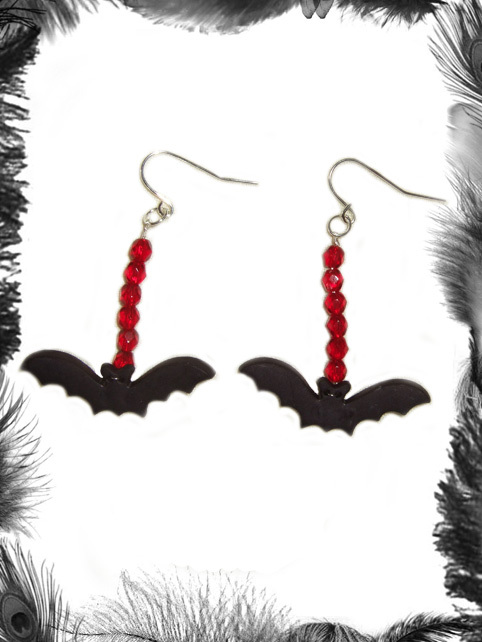 Part of our latest "Vampire Love" Collection, take a look at the matching choker, earrings, ring, hair clips or alice band!